Head coach John Thompson returns for his second year in charge of the club after a 9-4-1 record a year ago in his debut. Safe to say that Coach Thompson, a former PDL Defender of the Year in his playing days, knows a few things about building a defense. "This group of defenders have all proven themselves at a high level already, so I expect that they will quickly come together and form a solid unit," said Thompson, who was also a two-time All-PDL selection. "They are all solid athletes, but more importantly, great passers of the ball, giving us plenty of options and versatility. The kind of versatility we didn't have with last year's squad." Todd Morton (Delaware), the Nor'easters' 2017 Defensive Player of the Year, will return to Ocean City for the 2018 PDL season. The Ocean City Nor'easters have always had a strong tradition of outstanding goalkeepers. Over the last decade, 13 former players have moved on to play professionally both domestically and overseas. This year's group of netminders for the Nor'easters' 2018 PDL season might be one of the most talented groups. Two of the players are returning from last year's team. Between Todd Morton (West Chester, PA / Delaware) and Jimmy Slayton (Wethersfield, CT / Hartford), they played in all but one league game for the Nor'easters during the 2017 season. Todd Morton started 10 games and finished with a 0.80 goals against average and a 6-3-1 record with a team-high four shutouts. 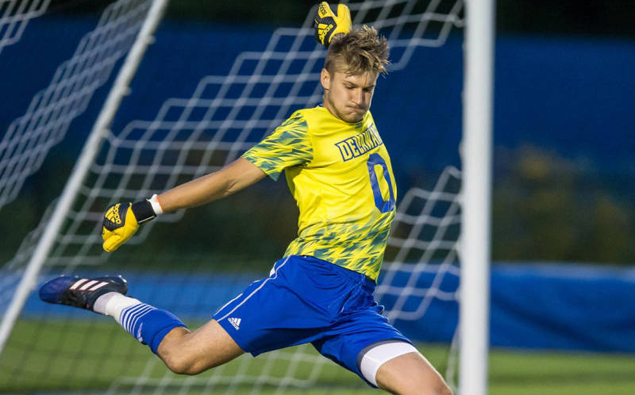 Morton, who was Ocean City's Defensive Player of the Year, is entering his senior year at the University of Delaware where he is a two-time All-Conference selection. Slayton played in three league games last season, earning two wins and a clean sheet. Outside of league play, the highlight of his season with Ocean City came in the Lamar Hunt US Open Cup. In a Second Round game against the Harrisburg City Islanders, a professional side in the United Soccer League (USL), he kept a clean sheet for 120 minutes, only to see the professional side prevail in a penalty kick shootout. At Hartford, Jimmy Slayton followed up one of the best freshman seasons in school history (for a goalkeeper) by starting all 18 games in 2017 for the Hawks. He finished with a conference-high 67 saves and had a 1.22 goals against average. He earned three clean sheets as he continues to get attention as one of the region's best goalkeeping prospects. The Hawks finished with a 5-10-3 record, but Slayton's play kept many of their games close. Five of the team's 10 losses were by the score of 1-0, with one of them coming in overtime. One of the newcomers to the Ocean City goalkeeper roster is Alec Smir (Greensboro, NC / North Carolina) who comes to Ocean City with an impressive resume despite just one season of college soccer under his belt. Smir was thrown into the fire during his freshman year when starter James Pyle (who had led the Charlotte Eagles to the 2017 PDL championship) suffered a season-ending injury eight games into the season. Smir came through by starting 10 of the 11 games he played in as the team went 10-1-1 during his time between the sticks. He finished third in the ACC in goals against average (0.69) and sixth in save percentage (.733). “Alec had an unreal season as a freshman taking over the starting role at a major program like UNC," said Thompson. "He also got called up to train with the Under-18 National Team and played for the NC Fusion in the USSDA. Like Jimmy [Slayton], Alec relies on speed and agility to get the job done and he has a bright future ahead of him." James Brett (Palmyra, NJ / Rutgers - Camden) brings a wealth of experience after three years at Rutgers University at Camden where he plays under Ocean City Nor'easters Sporting Director Tim Oswald. Brett has been the starter for the Raptors program since arriving on campus in 2015. Among his accomplishments, both on and off the field, he was named the 2016 New Jersey Athletic Conference (NJAC) Goalkeeper of the Year and is likely to finish his college career with numerous school records. "James has done exceptionally well in the NJAC and has proven to be one of the very best in the country at the NCAA Division III level," said Thompson. "His size, lateral quickness, and athleticism adds value to the Ocean City roster. We are looking forward to seeing him compete this summer with the tremendous core of goalkeepers we have brought in." The Ocean City Nor'easters will kick off the 2018 PDL season with a completely new defensive unit. What the team lacks in experience playing with each other, they make up for in talent as head coach John Thompson has assembled an outstanding backline to play in front of a strong group of goalkeepers. Michael went under the radar this season as he sat out his freshman year waiting for NCAA eligibility issues to be sorted out. He has great footballing pedigree from his time in England as he played for the Liverpool FC College team and spent last year in the Nike Football Academy who trained out of England’s St George's Park training base and played games against the top Under-18 teams in the Premier League and the Championship. "Barrow is a smooth center back with terrific vision and confidence to break the lines with accurate passing," said Thompson. "He will bring smooth technical and composure to our backline and will start off our attacks and set up our midfielders to go forward." DePoint comes to Ocean City with international experience with the United States Under-17 National Team while also spending a year in residency at the academy in Bradenton, Fla. so his pedigree has been acknowledged by some of the best coaches in the country. He is left footed and will give the Nor'easters backline a strong presence on the left side. He started all 16 games he played in for Villanova, scoring one goal and assisting on another. "Nikkye impressed both times I saw him live this fall for Villanova," said Thompson. "I thought he was their most composed player and brought the ball out the back well. He read the game in front of him and made smart decisions." Fahey has one year of college soccer under his belt as he arrived on the Rowan University campus with an impressive high school resume. Fahey, a native of Williamstown, NJ, was an All-State selection and won multiple state player of the year awards as a senior at Williamstown High School. He won the starting job in his freshman year at Rowan University and, along with fellow Nor'easter Modou Sowe, was part of a defensive unit that was second in the New Jersey Athletic Conference in goals against average (0.92) and shutouts (10). "Matt is an imposing center back standing at 6'4 who can ping the ball with great accuracy," said Thompson. "He has bundles of potential and the more he plays men's football, the quicker that potential will grow." Ilic enjoyed a successful season at Missouri Valley College both individually and as a team. The Vikings were National runners-up in the NAIA tournament and Ilic was named the NAIA National Player of the Year. As the team's starting center back, he finished the season as the team's leader in game-winning goals (4), tied for the team lead in goals (7), second in total points (17), total shots (46) and shots on goal (25) and fourth in assists (3). In addition to his National Player of the Year award and the All-American selection, Uros was named to the 2017 NAIA Men's Soccer National Championship All-Tournament Team, along with being selected to the Heart All-Conference First Team and chosen as the Heart Defensive Player of the Year and the Most Valuable Player. "Uros is a classy footballer combined with some great athleticism," said Thompson. "He's a great all-around player and his achievement of being named the NAIA National Player of the Year as a center back speaks volumes to the impact he has on the game"
Jones will be attending the University of North Carolina after transferring this past spring from Young Harris College (Ga.). 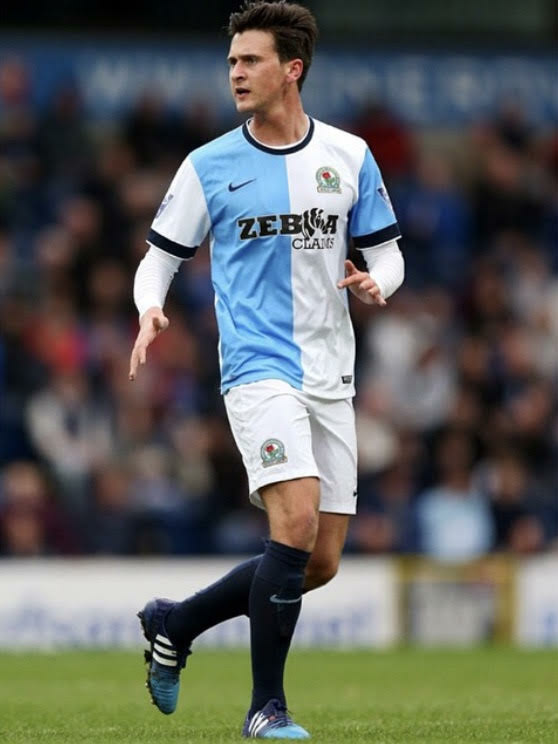 Prior to playing two years with Young Harris College, Jones had an accomplished youth soccer career, playing for Manchester City, Leicester City and Blackburn Rovers. "Sam has all the qualities of a top center back," said Nor'easters head coach John Thompson. "He is dominant in the air, a great range of passing, strong in the tackle and a great leader. Every coach I talked to in the southeast region had great things to say about him. All said that he instantly stood out on the pitch." Knight is coming to Ocean City after a productive sophomore season at Lander University, under head coach (and former Ocean City Nor'easter Lee Squires). The Bearcats finished with a 13-4-3 record while advancing to the Elite Eight of the NCAA Division II tournament. Knight scored four goals and dished out two assists while being one of two players on the team that started every game. "George is a strong, robust defender who is a physical presence on the field in both boxes and loves to get forward so he has great range on the pitch," said Thompson. "He played for the English Schools National Team at the Under-18 level, a team that has produced numerous quality professional players over the years." N'Dah had a season to remember with the University of Charleston as the school dominated all season and eventually won the NCAA Division II national championship. The Golden Eagles finished with an undefeated regular season before losing their first game in the conference title game. They qualified for the national tournament as an at-large bid and won five straight games, including the national title game in penalty kicks. They did not allow a single goal throughout the NCAA tournament. "Williams was the starting center back all season long on a team that boasted a 0.38 goals against average," said Thompson. "William is a brilliant athlete who covers ground with ease, he is great on the ball coming forward out of the back and which can be traced to his time playing in the centre midfield for the Roma Academy teams. Originally from Gambia, Sowe came to the states as a 14-year-old and was dominant for Harrison High School. He played four years for them and was a First Team All-State selection as a senior and was named the Star-Ledger Player of the Year and was named an All-American by the National Soccer Coaches Association of America. He signed with Rowan University where he played in all 22 games for the Profs (starting 20) and scored two goals and has one assist and was named the New Jersey Athletic Conference Defender of the Year as a freshman. "Modou is a very technical center back who can also play as a defensive center midfielder," said Thompson. "From what I saw of him play last season, he has it all. Great on the floor and in the air with great athleticism and reads the game very well."